Sam Kean spent years collecting mercury from broken thermometers as a kid. His stories have appeared in The Best American Science and Nature Writing, The Atlantic, The New York Times Magazine, Mental Floss, Slate, and Psychology Today, among other places, and his work has been featured on “Radiolab” and NPR’s “All Things Considered,” among other shows. His books The Disappearing Spoon and The Violinist’s Thumb were national bestsellers, and both were named Amazon “Top 5” science books of the year. 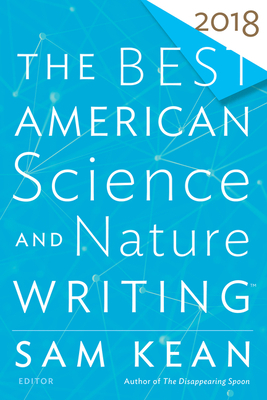 The Disappearing Spoon was nominated by the Royal Society for one of the top science books of 2010, while both The Violinist’s Thumb and The Dueling Neurosurgeons were nominated for PEN’s literary science writing award. He lives in Washington, D.C.
TIM FOLGER is a contributing editor at Discover and writes about science for several magazines. He lives in New Mexico.